Kuwait – September 19, 2018: Burgan Bank, Kuwait’s second largest conventional bank by assets, announced today that it commenced its Capital Rights Offering process to raise up to KWD 62.55 million of additional capital. The subscription period will end on the 10th of October 2018. The Bank said that the Rights Offering consists of the issuance of 240,581,530 ordinary shares at an offer price of KWD 0.260 per share which includes a share premium of KWD 0.160 and represents an increase in the total number of issued shares from 2,259,418,470 shares to2,500,000,000 shares, and an increase of 10.6% in the existing issued share capital of the Bank. The net proceeds of the Rights Offering will be used to improve the Bank’s capital adequacy ratio under Basel III framework, and leveraging the Bank’s business model for general business purposes. As of 30th June, 2018 Burgan Bank’s Core Equity Tier 1 Ratio (CET1) reached 11.0% and Capital Adequacy Ratio (CAR) reached 16.6%. 'On behalf of the Board, I take this opportunity to thank our customers and shareholders for their confidence in our capabilities and their continued support and commitment.' concluded Mr. Al-Ajeel. 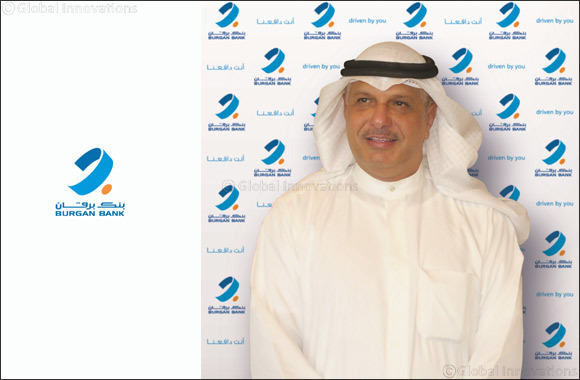 Burgan Bank Group encompass operations in Kuwait, and its share from its regional subsidiaries, namely Burgan Bank – Turkey, Gulf Bank Algeria, Bank of Baghdad, Tunis International Bank, possessing one of the largest regional branch networks with 169 branches across Kuwait, Turkey, Algeria, Iraq, Tunis, Lebanon and representative office in Dubai-United Arab Emirates.